I don’t think anyone watching the Dateline episode The Mystery on Halloween Night could conclude other than an innocent person was convicted of a crime he did not commit. If the judge currently deliberating on Ryan Ferguson’s fate doesn’t overturn his conviction, it will be a miscarriage of justice of monumental proportions. The only thing I see standing between Ryan’s freedom and thirty more years behind bars is a justice system unwilling to admit a mistake and unwilling to deal with the ramifications of that mistake. This case is a perfect example of how wrongful convictions occur. It’s all here: poor police work, prosecutorial misconduct, false testimony, and a rush to judgement. And while I am a big fan of Dateline and Keith Morrison, they made some poor decisions in telling their story. I’ll get to that in a second. But first the facts. Since all I have to go on is what was presented in the Dateline episode, I make no claims as to being an expert on this case. But these are my observations. 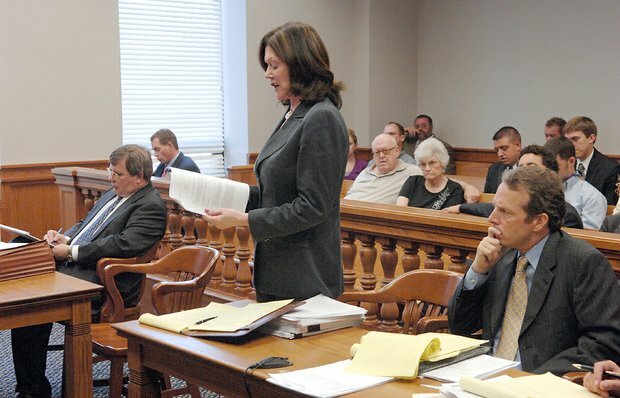 This case involves the murder of Kent Heitholt, a sports editor for the local paper in Columbia, Missouri. He was killed on Halloween night. Two overnight janitors reported seeing two white men around 19 or 20 years of age walking away from the scene around the time the body was discovered. Two bloody footprints were found at the scene. First mistake. The police jump to the conclusion that these were obviously the people responsible for the killing. Forget the fact that they were walking and not running. Forget the fact that the two eyewitnesses could not identify the two men later when police arrested their suspects, with one of the witnesses stating that the two men arrested were not the two men she saw that night. Forget the fact that a police dog tracked the bloody footprints from the crime scene all the way to a dormitory that was within walking distance of a bar. And forget the fact that this was the only night of the year where seeing a bloody scene might not raise suspicions other than someone playing a Halloween prank. The police were looking for two killers. The case goes unsolved, despite physical evidence at the scene, until two years later when someone reports that a friend has been confessing to the crime. So the police round of the confessor and start questioning him. He is foggy on the details. So the police help him out with the facts. But remember the police are looking for two suspects. So they start needling the guy to fess up his partner. Sure enough the lone suspect gives the police a name, someone who was with him the night of the crime. Bingo case solved. They now have the two people who committed the murder. But wait. The second guy, Ryan Ferguson, says he doesn’t know anything about the murder. He wasn’t there. The police have no evidence against Ryan other than the coerced confession of Charles Erickson. But the police and the media have already convicted poor Ryan. So they set a twenty million dollar bond and put him away, where he still sits today. But you need more than an accusation to convict someone of murder, right? There has to be a trial. Charles Erickson agrees to a plea deal of 25 years for testifying against Ryan. But that’s really all they have to go on. The prosecution needs more. Some of the details of Erickson’s confession aren’t panning out. No problem, the police will just apply some pressure until they get people to agree with their version of events. But there are still some problems with their case. One of the eyewitnesses is positive that neither Ryan or Erickson were the two men she saw that night. And the other witness can’t be certain. No problem. We won’t give the defense the contradictory eyewitness testimony. And we’re going to help the one witness out by showing him pictures of the defendant just before he testifies. “It would really help us out,” prosecutor Kevin Crane says to the witness, “if you could identify him in court.” Sure enough the witness points his finger at Ryan and Ryan’s case is sealed forever. Verdict: Guilty. Sentence: Forty years. Kevin Crane goes on to be a judge. The police investigators pat themselves on the back. Everyone is happy. But was justice served? There were some unanswered questions in the Dateline episode. For example: Ryan says that he talked with his girlfriend on the phone around the same time he was supposed to be committing a brutal murder. Did she testify? Did the defense present phone records? Why didn’t the defense team talk with the two eyewitnesses? Had they done so they would have discovered that one of the eyewitnesses was claiming that these were not the two people she saw. What about the total lack of physical evidence linking Ryan to the crime? Was it Erickson’s fingerprints on the car and his hair in the victim’s hands? What was the police explanation for the bloody footprints and scent that led to the dormitory? Why didn’t that play a bigger role? What about the person Charles originally confessed to and who later called the police. Did Charles implicate anyone else when he made his original confession? Why didn’t the defense team pursue that angle? Ryan took a polygraph test early on. The police told Ryan he was being deceptive. The police do it all the time to get confessions. But Dateline never followed up on the polygraph test. Did he pass? Was it inconclusive? Or did the person running the polygraph make a mistake? Note to self: never put your life in the hands of a polygraph. Did the police take any blood samples from the shoes of anyone in the dormitory? They interviewed a few people and that was it? Bloody footprints point down the street and a dog takes them all the way to the dormitory and the police don’t do any testing? Fast forward seven years and Charles Erickson decides that he wants to clear his conscience. He tells Ryan’s attorney that Ryan was not involved in the murder. He was the sole person responsible for the crime. And the second witness states that he still isn’t certain about his identification of Ryan. So Ryan should immediately be set free, right? It was the false testimony that convicted him. You would think so. The first appeal judge comes back with the ridiculous conclusion that the recantations are nor credible. So I’m guessing that this judge is willing to accept the original false testimony, despite the lack of any evidence of any kind pointing to Ryan’s guilt. You can watch the entire Dateline episode at The Mystery on Halloween Night. 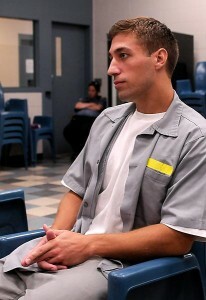 You can learn more about the Ryan Ferguson case at www.freeryanferguson.com. Here is another site www.justiceforryanferguson.com. Dateline is known for giving balanced reports, as is Keith Morrison, but they made some bad decisions regarding how they told this story. First was their decision to promote this episode as a conviction based on a dream. They got that from the early beginnings of the story when Charles Erickson started telling friends that he was having dreams that he might have done something bad. Well, okay that’s a good premise if that’s all you have, but by the time the episode aired they knew that the whole dream angle was irrelevant. So why continue to go with that theme. They also made a mistake by presenting another individual as a likely suspect in the murder. Here’s the deal. A case like this doesn’t happen overnight. A two-hour Dateline episode doesn’t happen in a couple of weeks. It takes years for a story like this to unfold. At some point another suspect was identified by the defense team. Keith Morrison interviewed this suspect, a coworker. The line of questioning and the editing all pointed to the likelihood that this person was a viable suspect. And at the time when they were shooting it, he probably was. But once the truth was known they had no right to continue to present this individual as a suspect when they knew he had nothing to do with the crime. This is a case where the Dateline producers made a terrible decision to use footage that should have been cut. If I were the individual that Dateline put in this position, I would be looking at a lawsuit. This is definitely one of those stories that sticks with you. Since the Dateline episode and since comments made from Ryan’s dad on this site, I decided to take a closer look at some of the evidence collected by Bill Ferguson. I also watched the 48 Hours episode detailing this case. You can watch the episode yourself at 48 Hours The Lost Night. I now feel that neither Ryan nor Charles Erickson were involved in the crime. Charles’s recantation doesn’t make much more sense than his original testimony. I admit that it would be unusual for Charles to implicate himself again in his attempt to free Ryan, but there is no denying that his recollection of events is based almost entirely on what he read in the newspaper and the facts given to him by the police. I also believe that Charles is convinced that he was involved even though he is unable to get his story straight. Bottom line is that the prosecutor in this case should have never even brought this case to trial. Once he saw that the police had to feed him most of the details, and once he saw that much of what he said was factually wrong (such as returning to the bar after it had closed), it should have been apparent that this was a false confession. So now there are two innocent people in jail, one who is convinced he is guilty, and the real murderer is walking free. And the police have the evidence they need to find the right person. But the prosecutor isn’t going to admit he put an innocent person in prison. The police detectives aren’t going to admit that they made numerous mistakes in the way they handled this case. And you have appeal judges unwilling to overturn any conviction regardless of what new evidence is provided. They are willing to accept perjured testimony but not willing to accept recanted testimony. The bottom line is that everyone in this case screwed up from the prosecutor, to the police, to the defense team that failed to do its job. If you want to know how innocent people get convicted, this is example one. For those of you who have seen this story on 48 hours I urge you to watch the film The Confessions. You can watch the film right here on this blog. The post is titled An Absolute Must See Film. I hope you take the time to watch the film in its entirety. If you do, you will see how false confessions take place. If you don’t see the video player just refresh the screen. Once the film starts, click on the player to go directly to the Frontline site where you can watch the film in its entirety. This really is an absolute must see film. Update 3: Free at last. If you would like to help Ryan have a fresh start, you can contribute to a crowd funding campaign that has been setup on his behalf. The cell phone records for the phone call made that night by Ryan Ferguson to his friend no longer exist. When Mr.Freguson went to seek them out, they had been obselete for several years. No longer available after 6 months. He mentioned this on the program. Agreed the telephone party should have testified, but will it really sway the judges decision? At this point, as you mentioned, the system is too prideful/hard headed/and hearted to admit their mistake. A mans life is slowly being taken away from him, there must be place in hell reserved for these people. The information about the cell phone records on the program was related to cell towers. Seems to me that the billing information, which would also have the call records, would still be available after two years, but it’s possible that those too were not available. But at the very least having his girlfriend testify about the call would have been important. We have the cell phone billing records of Ryan calls that night. They show Ryan did make a call at 1:18am to his sister while walking through the parking lot to his car when departing the By George Night Club. His next call was placed at 1:41am he talked continuously either making calls or receiving calls until 2:09am after which time he testified he be to bed. Ryan testified after leaving the By George Night Club he and Chuck Erickson walked to his car. Ryan testified he drove Chuck home and once Chuck was out of the car Ryan called a girl at1:41am. Ryan did not care to have this conversation with Chuck in the car. Ryan testified he finished up the last call at 1:41am while setting on the curb in front of his house. Chuck testifies Ryan left he phone in the car to insure it would not fall out in case there was a struggle while trying to obtain money. This statement is quite important. If Ryan left his cell phone in his car before they walked to the Tribune Parking lot the earliest they could have left Ryan’s car would have been 2:09am as per the cell phone records. It takes 4:45 seconds to walk from where Ryan’s car was parked to the point on Providence Road where they could have seen up the alley towards the Tribune Parking lot where Chuck testifies he first saw the victim. Chuck testified they saw the victim walk from the Tribune Building north into the parking lot. Erickson testimony place him on the west side of Providence looking east up the alley between the Tribune Building and the parking lot to the North. As one looks up this alley it’s more or less like a narrow view as to a large brick wall at the corner of the parking lot. When someone like the victim walks from the building north into the parking lot and pass the Brick Wall they disappear into the parking lot. From the West side of Providence you can not see any of the cars in the parking lot. It takes about 2.5 seconds for the average person to walk the distance from the building across the alley and disappear beyond to brick wall. Which means Chuck and Ryan would have had to been looking up the alley at that specific time to view the victim. That is a small window 2.5 seconds. After the victim passed the wall there is no way one could see any cars or activity in the parking lot. Michael Boyd the employee who worked for the victim as a part time writer says in police report 18 and 25 the following. Chuck says nothing about this. If Chuck and Ryan had left Ryan’s car at 2:09am the earliest they could have arrived at the Providence location would have been around 2:14am. By this time the Victim had already walked through the alley. Based on Chuck’s testimony they could not have seen the victim walk to his car by the time they had arrived at the Providence location. Besides Chuck does not mention Michael Boyd except to say he say a white man walk from the Tribune Building to his car and drive out. No mention of this person talking to the victim. In police report #18 Detective Short listed Boyd’s race as white. There does seem to be a connection between what the police reports says and how Chuck describes Boyd both incorrect as to race. Note Chuck says nothing about seeing this scene. Someone has the story wrong. Either Chuck could not have seen the victim as he claims or Boyd is remembering the story wrong. Remember this report was taken with in two hours of the murder by Det Short. This report was taken at 11:45pm November 1, 2001 just hours after the murder. These are just 2 of the 5 versions Michael Boyd changes over time. As you can see Chuck’s testimony does not match the crime scene time line. Either Boyd had he time frame wrong or Chuck does or both. But together they both can by correct…. I do not believe Charles Erickson or Ryan Ferguson could have been at the crime scene that night. I still have a lot of unanswered questions. I realize that a two hour Dateline episode is not going to answer all of them. I don’t know why Charles would recant and implicate himself if he wasn’t involved. This all started with him confessing to friends. I also don’t understand why he would continue to insist that Ryan was at the scene. If you’re going to recant, placing the person you’re trying to clear at the scene isn’t helping all that much. It’s also curious that the physical evidence at the scene doesn’t match either Charles or Ryan. It’s our understanding that Erickson was experiencing memory problems due to excusive drugs and drinking consumption. There are few memories from that night due to his blacking outs. Erickson told only two people he thought he may have had something to do with the crime but only after excessive inebriation.. Nothing specific just though he might possibilities have been there. One of these boys told a few friends. After a night of drink one of these boys called 911 at 4:30am March 10, 2001. Neither of the two boys which Erickson told about his dream was called to testify by Prosecutor Crane. Apparently these two witnesses had nothing to testify about that would enhance the Prosecutor’s case. Seems odd the prosecutor would not want to call the witnesses that allegedly heard Erickson tell them he was evolved in the crime. This is very telling. Later that same morning Erickson was arrested in the Moberly College parking lot and taken to the Columbia Police Department Major Crime Unit where he meets Detective Short for the first time at 9:22am. There conversations are revealed in Police Report 254. At 10:05am Detective short begin the video of his interrogation of Erickson. In this video you can clearly see Detective Short spoon feeding Charles Erickson information unknown by the public. Detective Short next asks Erickson how many times he struck the victim. Erickson answers “just once” Detective Short asks again two more times each time Erickson insists he struck the victim only once. Again Detective Short becomes agitated and tells Erickson the victim was struck over 15 times. (The ME testified in court the victim was struck 11 times) Detective Short was wrong. Just one of his many mistakes remembers he got the race of Boyd incorrect. Erickson finally agrees with Detective Short that well that must be right. But Erickson has no idea. Erickson has a blank memory of these events. Erickson was not at the crime scene did not strike the victim with the alleged tire tool. We know this because medical experts have said if the victim had been struck with a tire tool there should have been at least one skull fracture. There were none. The victim could not have been struck by a tire tool. He was struck by something which did cause cuts but this was not a tire tool. The tire tool story told by Erickson could not be true. Erickson is filling in the blanks with the help of Detective Short’s spoon feeding of the facts. This can be clearly seen in the link above. Would this be eligible for a change.com petition to get enough signatures to look at to get it overturned directly by the states governor? If so, I would sign it.What a miscarriage of justice! It’s so obviously a case of a mentally disturbed- drugged out young man who was probably prone to violence and had probably fantasized about murder- he had too much too drink along with drugs and didn’t remember Haloween night. When he saw the news reports, he thought the murder sounded like like something he was capable of-and had fantasized about and he had been somewhat in that area in a similar time-frame and knew he had been drunk out of his mind that night and therefore wondered if he could have been the killer. On his quest to find out if he was indeed the killer- he got turned into the police who informed him his inquires alone put him “in too deep” so therefore he had a choice to make; implement his drinking buddy from that night or spend the rest of his life in prison. That simple. Come on people. Am I the only one here who sees this kid as the complete sociopath the jury obviously saw? No emotion. I think the other kid actually had a conscience and couldn’t live with what they’d done, so he went to police. No one turns themselves in for something they did not do. This guys snaky smirk says it all. Anyone who was truly innocent would have taken the stand and told everything they know. You are all fooling yourselves! Yes, Damon apparently you ARE the only one here who thinks Ryan is guilty. Perhaps if you educated yourself on this case, you would be able to give an INFORMED opinion. I think if I were Ryan my emotions would have not hesitated to come out, I do not possess the restraint that Ryan obviously has. I would have been angry and it would have shown. Chuck did not turn himself in, he had some off the wall convo’s with a couple of friends, one of which turned him in and the police and Mr. Crane pounced!! I saw no smirk, just a young man who was telling the truth to a man who didn’t want to hear it, unless it fit with his version of events. I do so truly hope you never find yourself in the same position. Though I for one would be very interested how you handled yourself on the stand when accused of something you didn’t do.. Emotional=guilty, un-emotional=guilty, angry=guilty, sad= remorse=guilty etc. Seems to me no matter how a defendant behaves on the stand someone is going to say they ‘look’ guilty, that’s why you need to look at the facts first and the facts in this case PROVE beyond a shadow of a doubt that Ryan Ferguson had absolutely nothing to do with this crime!! Yeah you were probably one of the jurors… Convicted by a smirk… Have you ever considered a job as a appeal judge? You would fit right in! Kyle’s comment to Damon is great! Especially considering the appeal judges who have heard this case. You are fooling yourself if you think Ryan is guilty! Are you friends with this so called judicial system that worked “so hard” on this case? Erickson has mental health problems, from what I gathered from the show schizophrenic. With that he can imagine a funnel of events that possible did not happen. The people that Ryan spoke to on his cell phone need to be involved to have solid facts of whom he spoke to during the time of the murder. Also where are the shoes/clothes of the blood from the killer? Best of luck to your family Mr. Furguson…your family is in my thoughts and prayers! I don’t understand WHY the Appeal for a new trial (that was recently DENIED) did not put more emphasis on other areas of the case that CLEARLY raised a reasonable doubt as to Ryan’s involvement in the murder? Why were these topics not presented in the APPEAL? 7. Mental Condition of Erickson (was he ever seen by a Psychologist or Psychiatrist for a diagnosis for schitzophrenia or some other delusional condition?? If not, why? And, if so, why weren’t medical experts called to the stand by the defense? I did not see any of these points included in the oficial APPEAL doc I read?? Makes me question why the timelines were not also addressed? If the above points were not mentioned in the original trial, then why weren’t they included in the appeal? Did not understand science ? Set Ryan free you dam judges ! !